Nathan Taylor (Sockmatician) is known as the DarK Lord of Double Knitting, and he has a dastardly plan to take over the world, one double knitter at a time. He is a fanatical teacher, giving entertaining and inspiring classes in this beautiful and impressive technique all over the world. 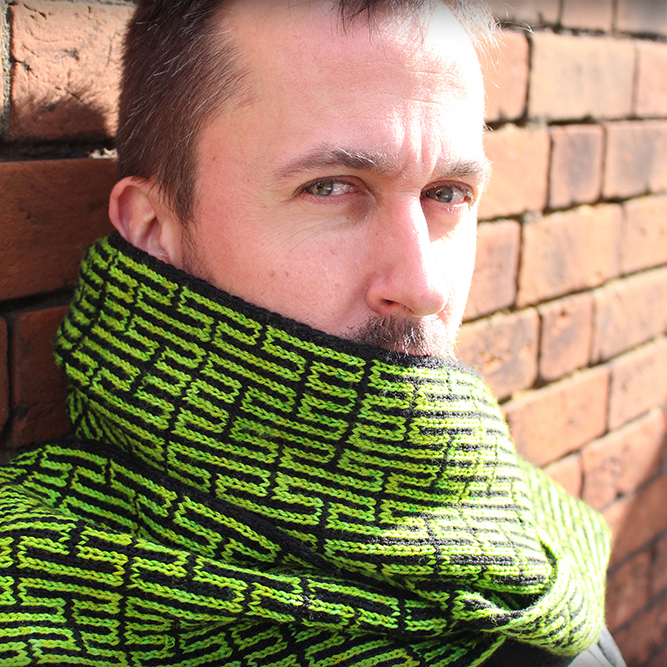 His patterns have been featured in Vogue Knitting, Knit Now! Magazine, Rib Magazine, The Knitter, Vogue Knitting Shawls and Wraps II, among others, and on Ravelry. Nathan hosts a very popular knitting podcast (www.YouTube.com/sockmatician), discussing all aspects of his life: the knitting, the designing, his career in musical theatre, and his work as an advocate for HIV awareness and the quest to reduce the stigma that still surrounds people living with HIV today. He is passionate about championing male knitters, and his first book, GUYS KNIT, a beginners’ knitting manual aimed specifically at men, was released in October 2018.